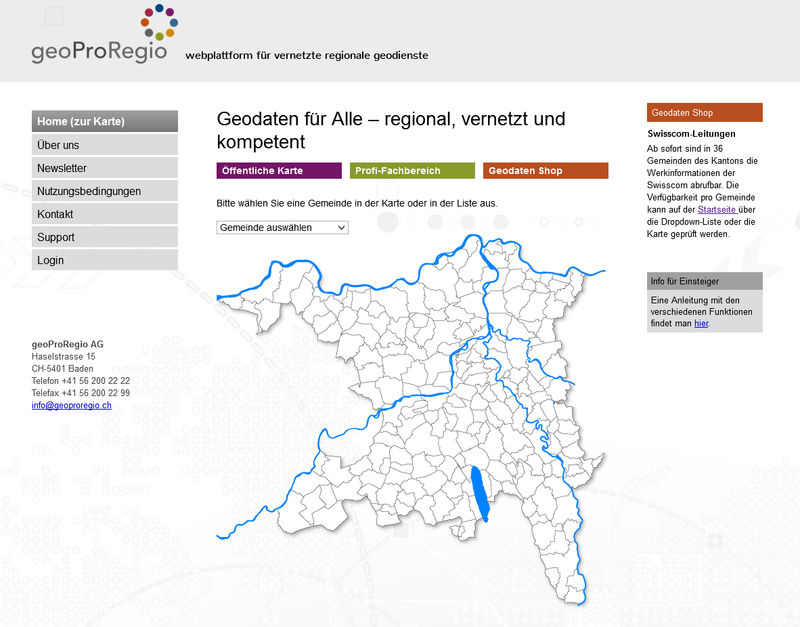 geoProRegio was created on the initiative of public utilities in the Canton of Aargau. 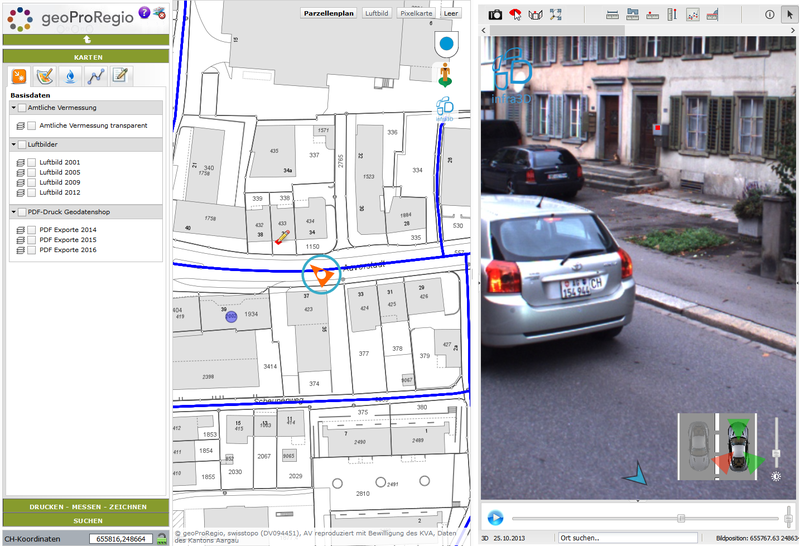 geoProRegio is a renowned, competent, and innovative GIS provider in the German part of Switzerland and offers comprehensive geo-services, which are aimed at a long-term customer value. We work with TYDAC since 2008. A "Web-GIS" has never been so easy to use and so straightforward. 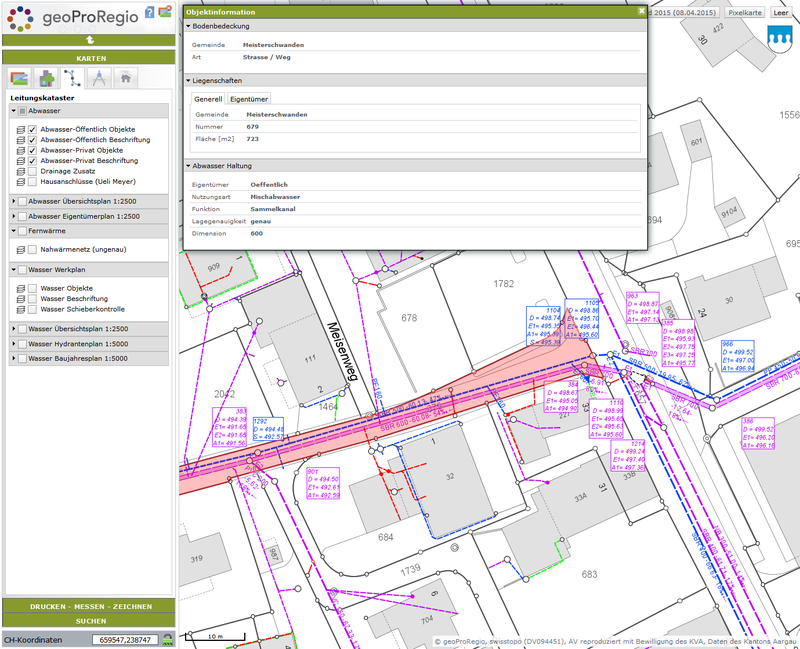 The competent, sympathetic and highly motivated team in Bern has helped us, among other things, to establish our product "geoProRegio" (www.geoproregio.ch) on the GIS market. After eight common years, we are more then ever convinced that TYDAC is among the best in the GIS World. We look forward to further cooperation. Supplemental information such as land ownership, inhabitants, Google StreetView etc. can be accessed directly within the Web GIS.